Instructor's Exp 9+ yrs ? ? Our mission is to challenge students, raise MCAT scores, and get you into Medical School by providing the best curriculum and the highest quality instructors in the industry. We've replaced lectures with innovative interactive classrooms sessions and one-on-one to engage students and help them not only master the content but also develop the critical thinking skills necessary to maximize MCAT scores. Taking the MCAT is a skill. It doesn't really test your intelligence and it doesn't even necessarily test what you know. It tests your ability to take the MCAT. And with every skill, you improve by using the proper strategies and lots of practice. We adjust our program for each students needs and instead of just lecturing material, we actively address a students weakness and ensure that they get the most rigorous training. Congratulations on progressing this far on your way to getting into medical school and becoming a doctor. I am the lead instructor in The MCAT Professor program and look forward to helping you face your next obstacle: the MCAT. I’m honored to teach some of the brightest, most motivated and principled students in our community and I'm passionate about helping them succeed on the MCAT and get into medical school. As an instructor at UCSD I developed MCAT programs for the UCSD post-bacc program as well as other university test-prep programs. I’ve spent years developing a evidence based approach to increase MCAT score using the latest education theories and authored innovative MCAT study guides and test prep materials. 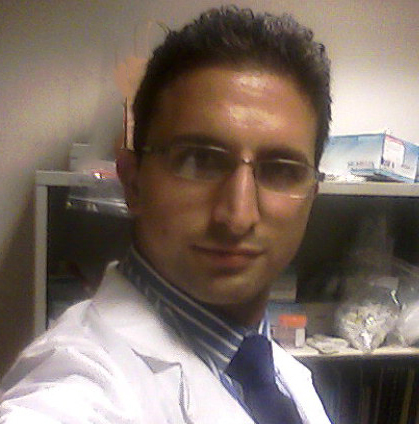 As for my science background, I double majored in Chemistry and Biology and have a Masters in Biochemistry and Molecular Biology, study clinical research at UCSD and am a published biochemist and clinical scientist. In addition I have scored above the 99th percentile on the GRE, GMAT and the MCAT. I taught MCAT, DAT, PCAT, OAT, GMAT and GRE at three of the nations largest test prep companies. After working for the other major MCAT prep companies and seeings students score miserably due to the lack of personalized guidance, I focused on developing an individualized program that focused more on engaging discussions instead of tedious lectures. I have been preparing students for the MCAT for the past nine years and have helped hundreds increase their scores and get accepted to medical school. Students in our program can be confident that their instructor has scored higher on the MCAT, has more MCAT test prep experience and has helped more students maximize their scores than almost any other MCAT instructor at the major Test Preparation company in San Diego. Our program is personalized, comprehensive and intense; our students achieve high scores because with our mentoring and support we don’t allow them to fail. I hope to see you all in my MCAT course and look forward to helping you all maximize your scores and get into Medical School. By far the most effective and personalized MCAT prep course. This summer I took the MCAT elite course with the MCAT professor. Instead of the four month preparation time he recommends, I only had three before my test date. He accommodated my needs and made a specialized schedule for me. The study plan was rigorous, but necessary for success. I had taken the MCAT in the year previous, and had performed below my expectations, getting a 25. But after taking the MCAT elite course I was more prepared than ever. I had more confidence, and a better handle on how to apply my knowledge. My MCAT score after taking this class was a 38, which is HIGHER than I had believed myself capable of. I cannot recommend Al highly enough, if you want to work hard and reach your potential high score, this is the program for you! If you are intimidated by the content, test taking skills, or studying commitment required for the MCAT, then the MCAT Professor's classes are for you. I saw a 7 point increase in my score after working with the MCAT Professor and I can honestly attribute this to the way the MCAT Professor prepared me for my test day. I had previously taken a Princeton Review preparation class but found that it did not adequately prepare me. The MCAT Professor's small class sizes, effective lectures, test taking techniques, and emphasis on taking practice tests made all the difference. I truly cannot recommend working with the MCAT Professor more!